Great gig! We played first tonight and then enjoyed a few beers and watched the other bands. Particularly liked The Ultraviloet, look forward to seeing them play again at some point. 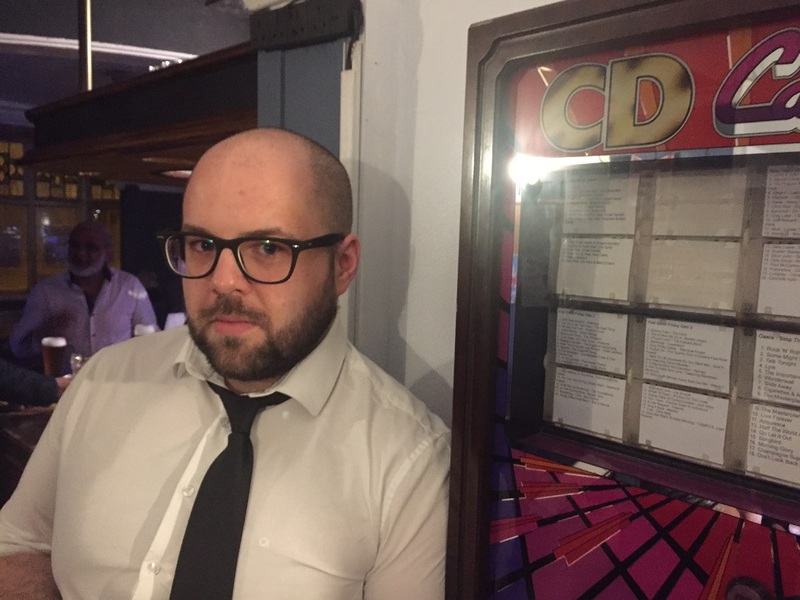 Here's a picture of Dave standing next to the Corner House jukebox contemplating the life choices that have led him to this moment. First gig of 2018. 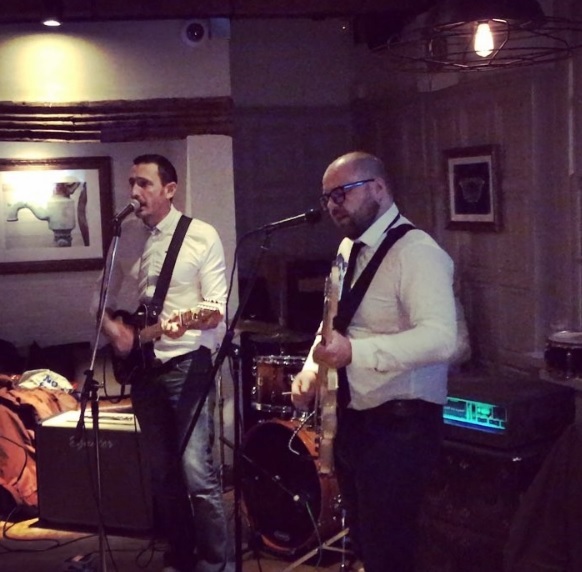 We played a few songs in a venue we've never played before in Cambridge along side The Indecision, who we played with last year at The Corner House. They're a great band and a decent bunch of lads, hopefully we'll play with them again at some point. This photo only shows Dave and myself but Scott is there, hiding behind his kit. Celebrating Christmas and ten years of Half Ton Studios with some of the other artists that have recorded there over the years. Great to play as a full band again and we played Jet Set Willy for the first time live. Thanks to Simon Morgan for coming all the way from Swindon to see us play for recording this video of us performing the British IBM.